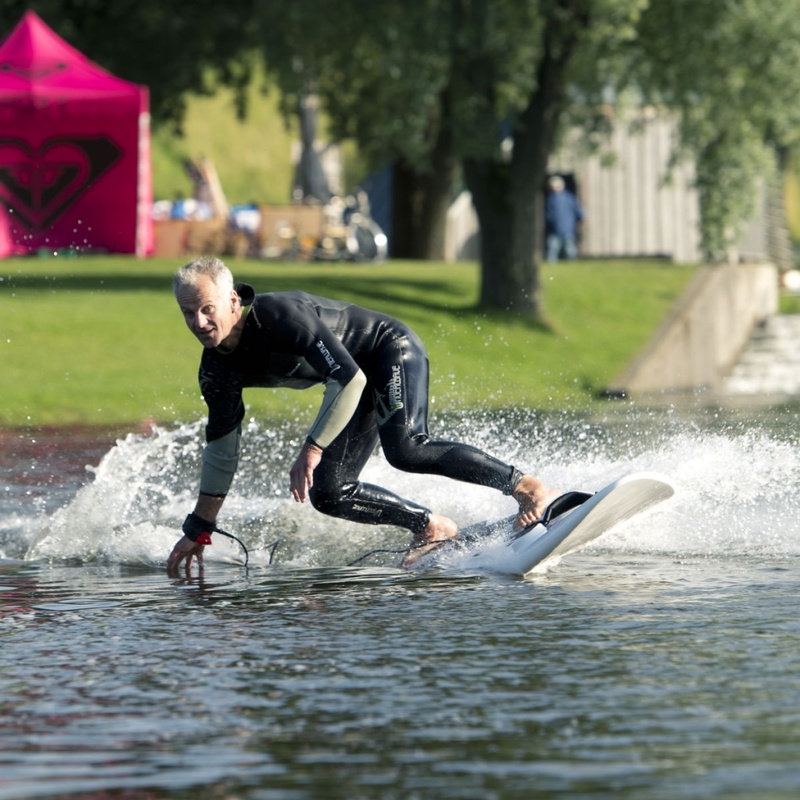 We had already a few opportunities to meet Waterwolf e-surfboard founder Markus Schilcher. He is visiting us a few times a year to show us his latest prototypes. Reason enough for an interview with him as he is the brain behind one of the first electric surfboards which is available for sale in higher quantities. 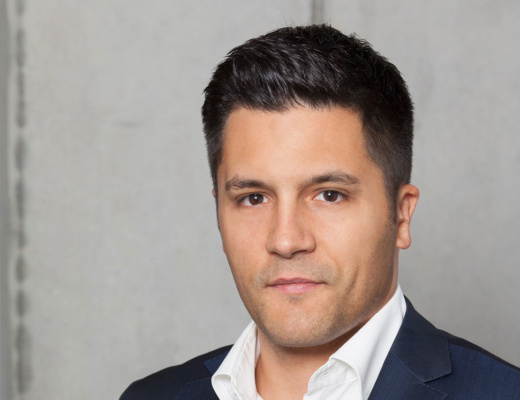 His product is in the market since 3 years and has now proven to be ready for the market. Hey Markus, which sports did you do as a teenager? Soccer, tennis, table tennis, chess, Snowboarding (I was second at the German championships in the halfpipe 1990), skiing and a little bit surfing. 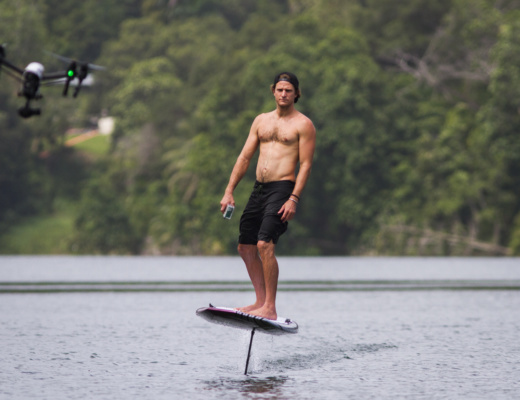 When did you think the first time about a motorised surfboard? Was electric power your first choice? The first idea came 1983 when I was surfing in Biarritz. I had problems to catch the wave at the right moment and was wondering what could help me. In 2009 I had the same problem again, but was an engineer in the meanwhile. 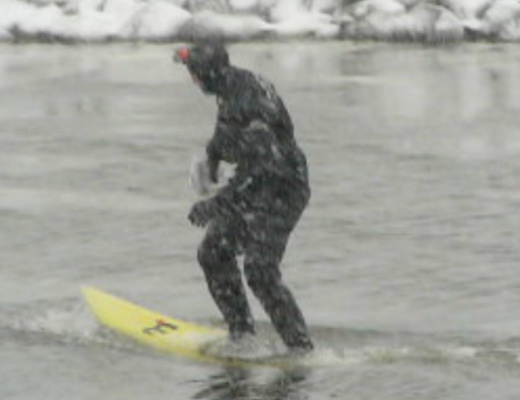 At this time I had the idea to mount a motor to the surfboard. 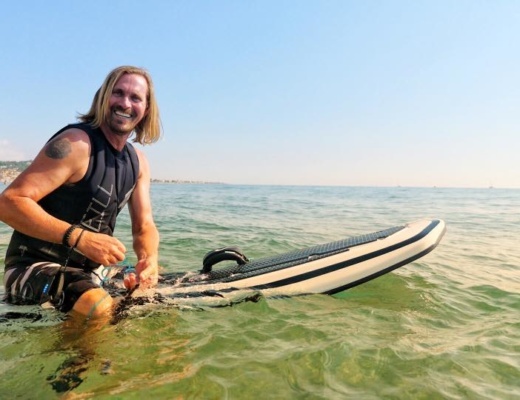 The environment was always important for me and therefore I was focussing on an electric motor from the beginning to build the Waterwolf e-surfboard. How did your first prototype look like? Do you have a picture? I worked for years in my garage. Again, the initial idea was just to catch the waves at the right moment. 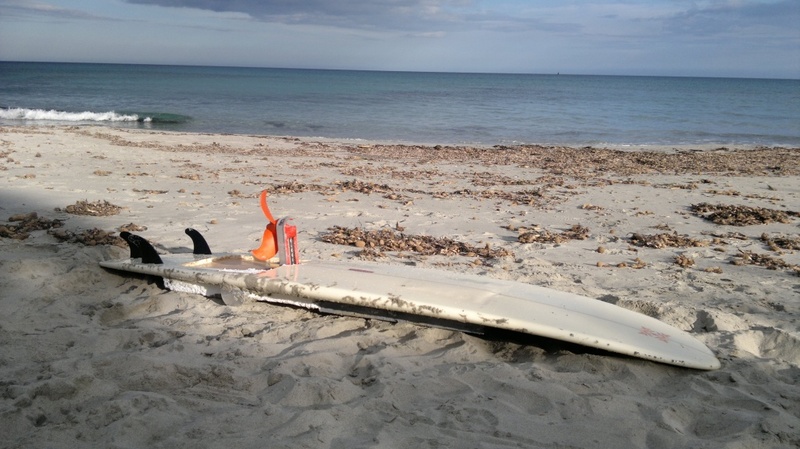 By working on different prototypes I found out that the Waterwolf e-surfboard would have enough power that no waves are needed anymore. 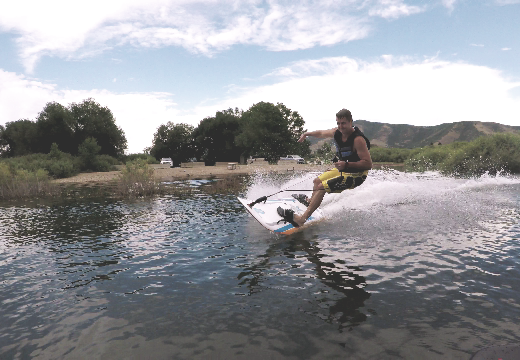 I could gain enough speed to start gliding and would create my own waves by carving. Therefore my slogan “Make your own waves”. 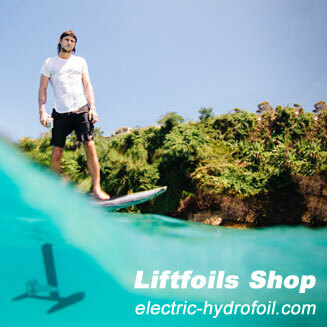 Most electric surfboards are using a jet engine. Why do you prefer a propeller? There are actually several reasons. A jet engine needs much more battery power which leads into multiple challenges such like weight, range and heating. But more important is the way you can carve aggressively with the propeller engine. This is because the propeller is not mounted at the back of the board, it is exactly at the axis of rotation. I spend a lot time on finding the sweet spot for the propeller position and have patented my solution. The ride is also much smoother as the propeller is always under the water surface and doesn’t lose traction like it happens with the jets which are only right below the surface. 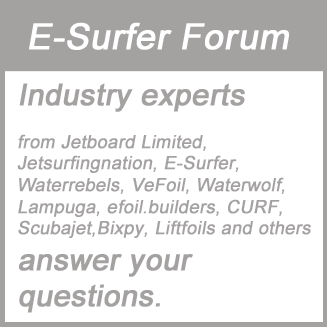 I would compare jet-powered surfboards with Jetskis while the Waterwolf e-surfboard is much closer to snowboarding or surfing. 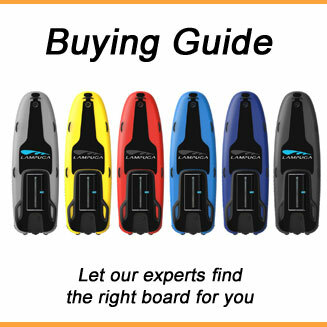 You also do not need a leash with a handle to stabilise like many of the jetboards do. If you start carving with the Waterwolf your feel absolutely free as you do not even need a remote control. A fully hands-fee ride. When did you decide to make a business out of your project? It was just a hobby for the first 2-3 years next to my main job as an engineer. 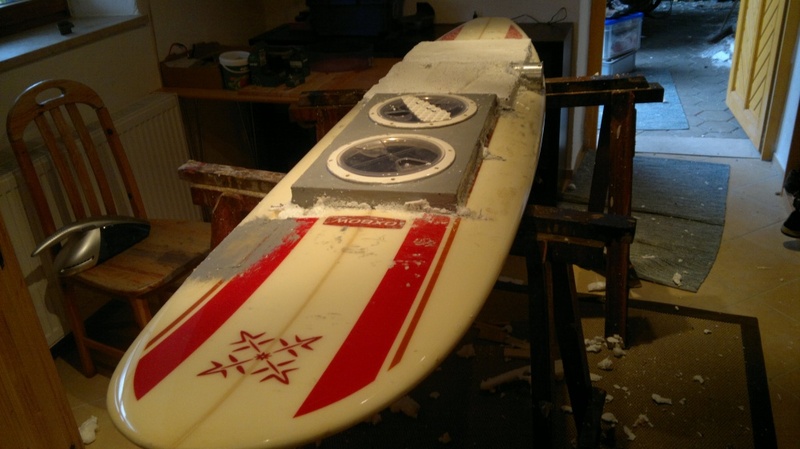 But the board made so much progress and caught so much attention at my test rides that I decided 2013 to drop my main job and only focussed to get the board mass production ready. It is one thing to develop a fully functional prototype, but it is much harder to get it ready for a mass production. It took me another 2-3 years with a lot of testing in our test centres to reach this level. Since 2016 my boards were ready for sale. Which are / were the biggest challenges for you? 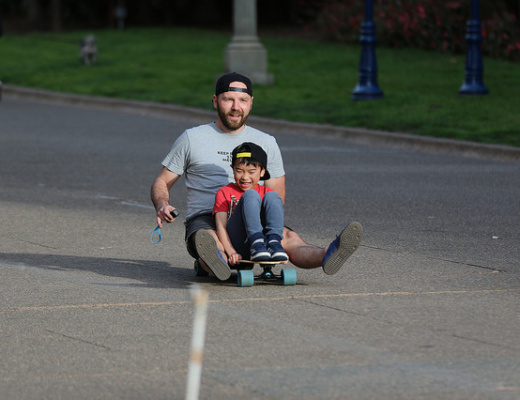 It was bringing the board from a functional prototype the last mile to a mass product. In addition the bureaucracy to get all the certifications was a nightmare. It is also very hard to get any funding in Germany, especially if your are talking to banks. I had to use my house in order to get the funds. Next to that the battery technology was still evolving over the past 6 years. It is getting better now, but when I started this was never done before. 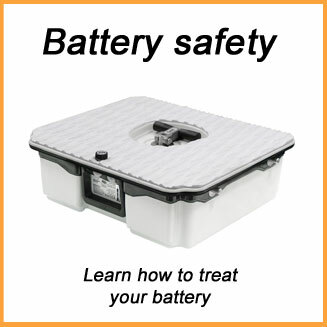 I spent a lot of time to develop a waterproof battery, a battery which would even work in salt water. I built in a lot of security features and avoided to use cheap batteries from China. To get the UN certification was also very time consuming and expensive. Now I have a very safe battery and it is documented. What was your biggest success so far? This is actually hard to say. I believe all the moments of small successes and the experience I made over the last 6 years. 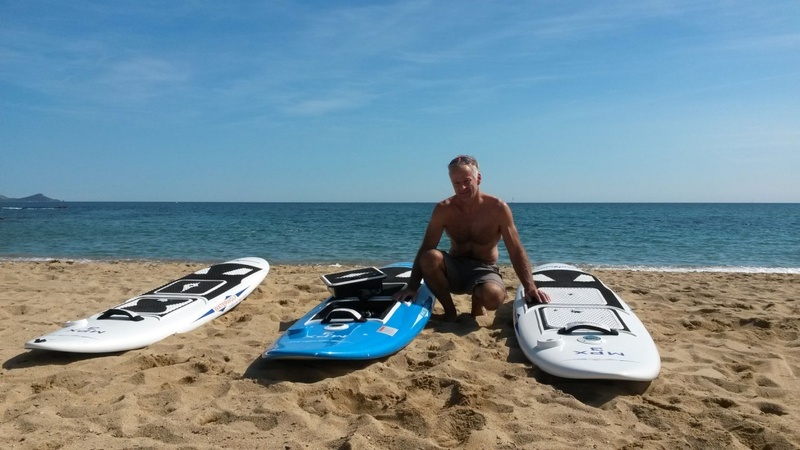 And of course all the positive feedback I got over the years from people who have tried or bought the Waterwolf MPX. 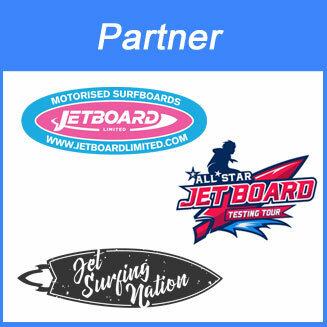 I do all the test rides on my own and therefore I am very often riding my boards. It is also a lot of fun and is helping me to get my head free. I would say I am addicted to ride the Waterwolf. I have tons of ideas. Next to that I want to achieve the profitability for my company. Everything is set for 2018. It will become an exiting year. Last question: What you think about all the e-Foils which raise a lot of attention these days? This is a very fascinating trend. 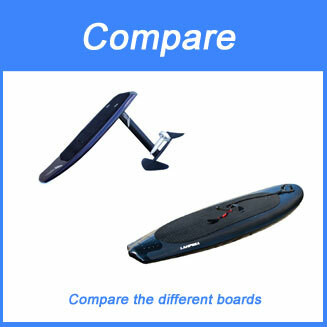 It is very different from my way of e-surfing because you loose the contact to the water, but is still very appealing.